Fresh is best, they say, and beer is no exception. Fresh ingredients are important for flavor and quality, and hops are among the most celebrated. The hop harvest is like Christmas for brewers, though the harvest happens a bit earlier, sometime in late summer to early fall. But that doesn’t stop hop growers and hop heads from celebrating. I certainly wasn’t the first person to add freshly picked hops to a batch of homebrew—I must concede that title to those who preceded me hundreds of years ago. However, countless beers across the United States owe their existence to the addition of fresh hops, also called wet hops. 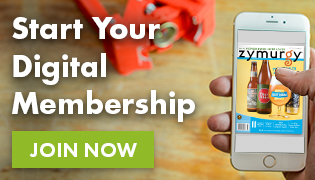 The two terms aren’t necessarily mutually exclusive. 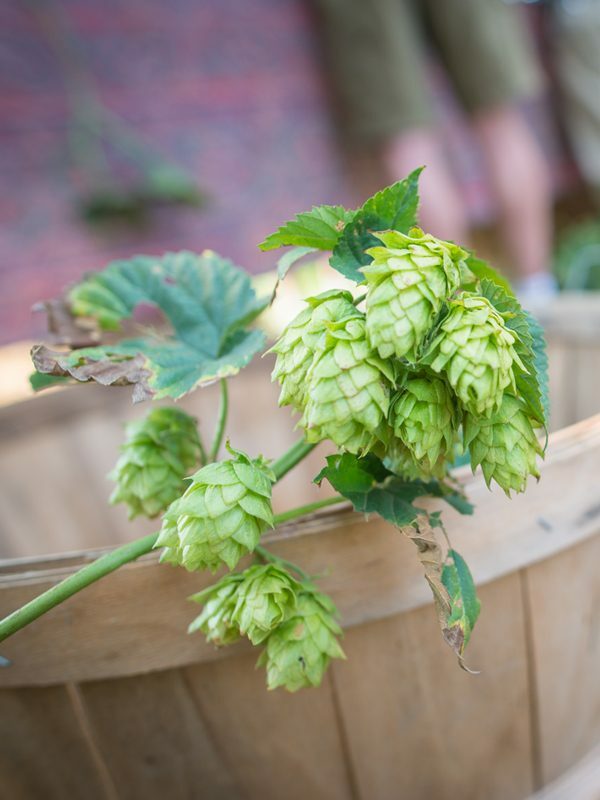 While brewers and beer drinkers tend to mean the same thing when they interchange them, fresh hops can mean hops used right out of the oast house, while wet hops are never dried (well, duh). The difference between the two matters just as much in the kettle as it does when you drink the beer. 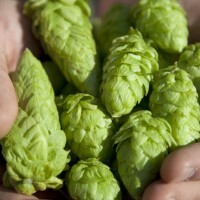 For this article, we’ll be focusing on wet hops. Not only do wet hops impart different flavors and aromas, but they are delicious when used correctly. There are a few keys to brewing great wet-hopped beers and a few more things you should understand about hops to keep that wet-hopped goodness in your homebrew. Wet hops contain about 80 percent water, so you’ll need to use more than you would when using dry hops. In general, four to six times as many wet hops are needed by weight as dry hops. 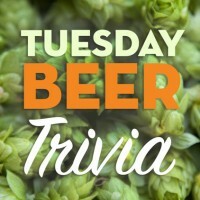 For example, one ounce of pelleted dry hops would be the equivalent of four to six ounces of wet hops. You get the idea. Wet hops take up more room in the kettle, enough to consider reducing batch size depending on the overall hop amount and the size of your system. They’ll also add water that needs to be considered when calculating original and final gravities. When Ken Grossman, Founder and CEO of Sierra Nevada Brewing, first started homebrewing, he had difficulty finding quality hops because “the homebrew trade consumed an insignificant amount of hops and, apparently, in the eyes of hop growers and merchants, wasn’t worth pursuing.” Oh, how times have changed. There’s been a resurgence in hop growing since the 2008 “hop crisis,” making it easier for commercial brewers and homebrewers to source locally grown hops or simply supply their own. 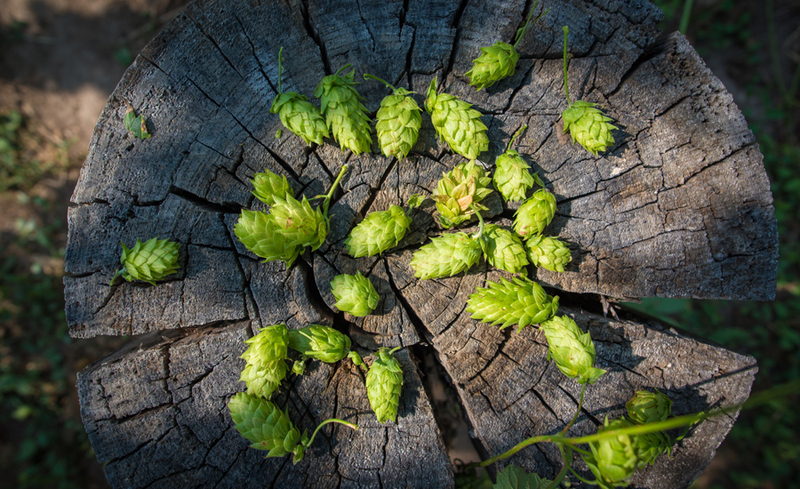 Once harvested, wet hops literally begin to rot because the cones contain a high percentage of water, which is why farmers transport them directly from the field to breweries—or in your case from your backyard to your brew setup. It’s important to use wet hops within a matter of days of picking, preferably within one day, lest you risk spoiling and ruining your hops. Like all enjoyable things, wet hops should be used in moderation. You can quickly reach a breaking point at which desirable “grassy” aromas and flavors remind you of chewing on a salad. Other undesirables include notes of tobacco and chlorophyll to name a few. Remember: you’re adding a huge amount of green matter to your homebrew, the result of which can be green flavors. These are acceptable in wet-hopped beers to an extent. Brewing requires balance and an awareness of the style. 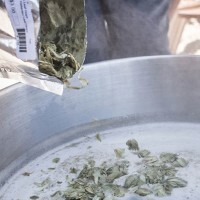 It’s a good reason to use dried hops for the bittering portion of your boil and wet hops for the aroma and flavor. If you try to drive up bitterness with wet hops, you risk losing their nuances. Using dry hops for bitterness also reduces hop matter in the kettle and lets you work with hops of known alpha acids. You don’t really know how much bitterness the hops from your backyard may hold, and using them near the beginning of the boil can yield unpredictable IBUs and an even more unpredictable beer. Hops’ desirability lies in the essential oils they produce, which constitute up to 4 percent of the hop cone. These oils increase during the weeks before harvest and continue to change after the hops are dried and stored. Hops are used during the boil because the high temperatures activate many components, but a side effect is that the same phenomenon removes some of those essential oils we crave. Thus, brewers wanting to know how much bitterness they’re adding may choose to use dried hops with known, measured alpha acids. Those concerned with preserving oils, such as linalool and gernaniol, should add wet hops towards the end of boil, at flameout, or during the whirlpool. The effect of adding hops during fermentation is somewhat inconclusive. However, we know something happens because we’ve tasted the differences before, the results of bio-transformations of hop compounds that occurs in the presence of yeast. There’s another reason to believe wet-hopped beers will taste different. All you need to do is taste it over time. When I taste beer about 24 hours into fermentation, I get a very green taste. Over time, the beer starts to open up, and the oils come through in the aroma and flavor. Again, in the words of Jamie Flyod, “this is not a scientific exploration of brewing.” Right on, Jamie. Most of my homebrewed beer contains residual bits of hops because I cannot—and never will be able to—afford a centrifuge, which is why the taste changes over time after packaging. Another source of diminishing quality can be poor oxygen control in the bottling process that will hurt any hoppy beer. However, I’ve made wet-hopped beers before, and they’ve held up well when kegged or bottled. But that might just because they tasted so fresh that I drank them quickly.